Factory Honda Prospect Motor (HPM) in Karawang, Jawa Timur, was no longer exporting vehicles secarat intact (completely built up). The reason is called the Honda Prospect Motor (HPM) for the principals Honda in Japan set such strategy. Jonfis Fandy, Marketing and Aftersales Service Director HPM, explains, Indonesia, India, and Thailand asked as the foundation of Honda in Asia. Each country was planned to produce up to 300,000 units per year. "Each one has to feed 300,000 units. So we have to concentrate on local needs, then given a local product, "said Jonfis, in Jakarta, Thursday (29/09/2016). 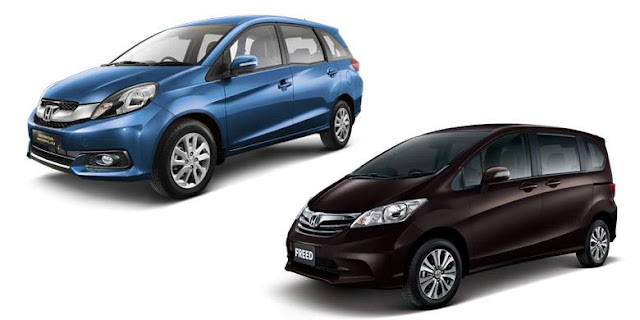 Since 2014, HPM has spawned three models of domestic production, the Mobilio, HR-V, and BR-V. Meanwhile, exports of CBU products only from HPM, Freed, are also likely to stop because the HPM has halted its local production since June. "Honda did not give export CBU because it must berkonstrasi earlier. We still export a component, transmission, engine, etc., "said Jonfis. HPM has two factories in the Industrial Area Mitrakarawang (KIM), Village Parungmulya, Karawang, West Java. The total installed capacity at two plants reach 200,000 units per year, the distribution is 80,000 units in the first plant and the second plant of 120,000 units.